The Christian apostle Paul was probably being compared to super-apostles when he admitted his own weakness, concluding, “When I am weak, then I am strong,” and pointing to the relationship he had with his god. Yesterday I had the joy of visiting the story hut that is visiting the University of Edinburgh for an alternative learning week. An old shepherd’s hut, the wheeled space hosts eight people, keeping them cosy with a wood-burning stove and is filled with all kinds of thing to stimulations the senses – instruments from different countries, boxes with questions and objects inside of them, fine carving, old toys (spinning tops), old photos and more objects than I can remember. I picked up the two centimetre tall model of Pinnochio, finely crafted and had to tell the story of David, someone I knew who worked in printing during the day but made models, rich with detail in his non-work time. 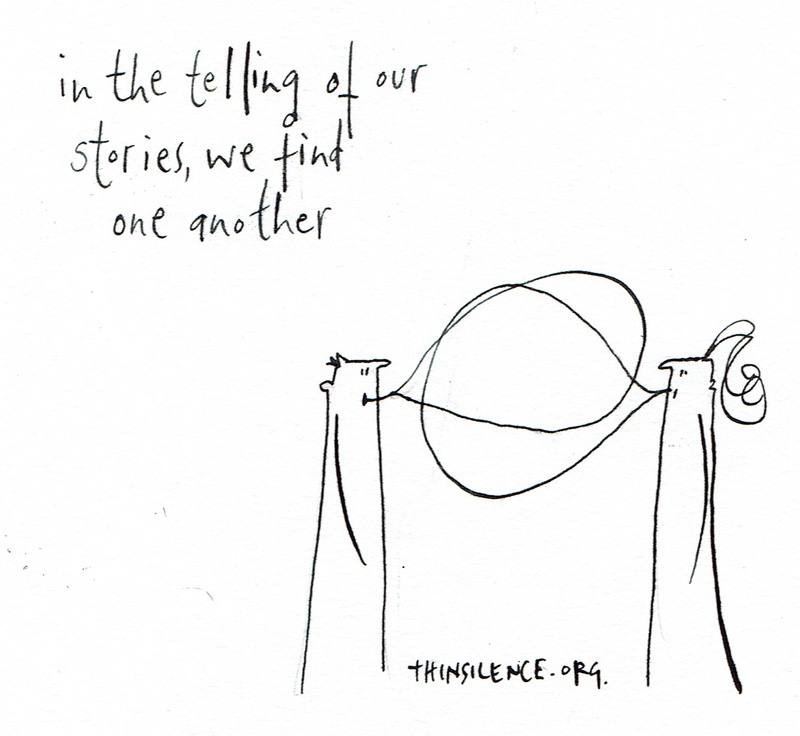 Imagine a space in which we can tell stories to one another, just our very human stories, without the need to “big up,” to be with one another, just as we are, and out of these stories dream a brave new world. ← Why should I follow you?